Our coaches are passionate about their disciplines, and this passion is one of our key assets that makes Fly High Fitness stand out from the rest of the fitness centres. We are building an inclusive community where everyone can unlock their full sporting potential, encouraged and supported by the team of professionals. 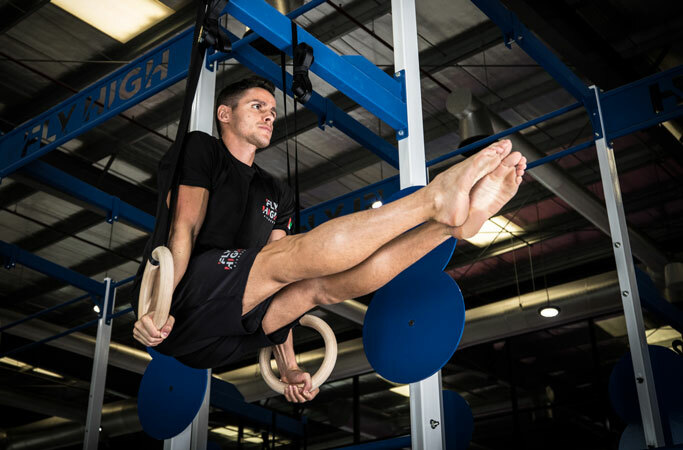 Fly High Fitness is UAE's newest, most exciting and vibrant concept in sport and exercise. Our central vision is based on developing an inclusive, diverse and supportive community dedicated to improving quality of life through the pursuit of physical and mental fitness. Our mission is to build an environment which channels our vision – a space which gives our community the choice, expertise and encouragement to help discover their inner athlete. We want to empower our community to reach the height of their sporting potential, and use it for the betterment of all aspects of their lives. We are the largest dedicated centre for gymnastics in the UAE. Our environment is inclusive, international, accessible and luxurious; making Fly High Fitness more than just a sports centre, it is community and motivation hub for a growth mindset. Adjusted timings for holidays and other special occasions to be announced in advance. Fly High Fitness has been created by families for families, built upon the philosophy of sport and exercise bringing people and communities together, elevating their fitness, health and performance to new levels across all aspects of life.